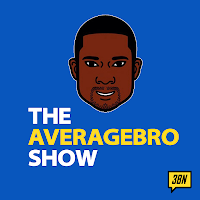 AverageBro: Domino's Pizza, Now Delivered By Drones!?! 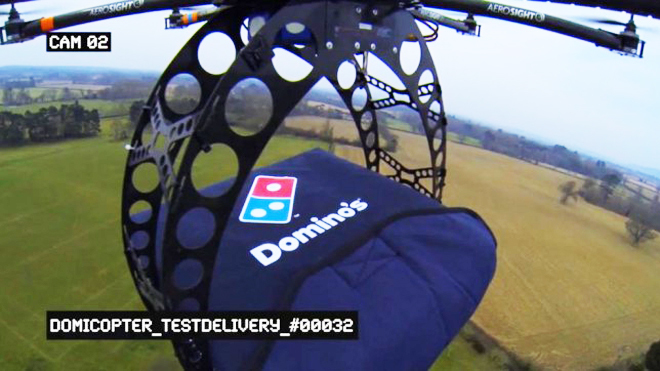 Domino's Pizza, Now Delivered By Drones!?! Face reality, drones are gonna be a part of everyday life very soon. It's inevitable. They're (fairly) cheap and don't take days off/require benefits. They can kill men, monitor traffic patterns, oversee crops, and help predict the weather. And soon, they may be delivering pizza to your front door. Domino’s Pizza hired a creative agency called T + Biscuits to test the feasibility of octocopter drones that deliver a hot, delicious pizza to your doorstep. 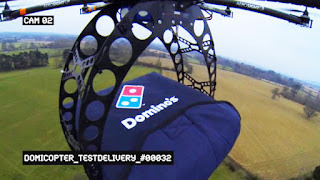 Heavily branded as the DomiCopter, the current prototype can deliver two, large pizzas in about ten minutes within a four mile radius of the store. While future versions could hypothetically use GPS coordinates to deliver the pie, the existing model is piloted from the ground by someone experienced in drone flight. The DomiCopter has eight spinning blades and includes the standard thermal insulation bag that’s carried around by Domino’s Pizza delivery drivers. Developed by a company called Aerosight, this type of drone is primarily used for capturing broadcast quality video with cameras like the Red Epic , Canon C300 or Sony PMW F3. No flying permits are needed to operate the drone up to 126 meters off the ground, as detailed by NBC News recently; only permission of the landowner is required. Other tools that can be used with the drone include on-board GPS, air pressure sensors and an electronic compass. Here's the video. It's sorta cool. I'm not 100% sure how to feel about all this. Having a flying robot show up on your front lawn with breadsticks is less intrusive than having some stranger show up on your doorstep (and possibly less dangerous in some ways), but is this overreaching? What if the drone crashes (happens all the time)? How does the company prevent this thing from getting jacked (much like real life pizza men)? Aren't some things best left to actual human beings? Ionno. 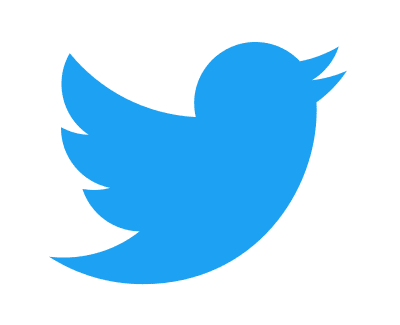 Question: What do you think of the DomiCopter?!? Is this a feasible idea for consumer application?